In the middle of the slushy parking lot, an oil slick spread across the asphalt. 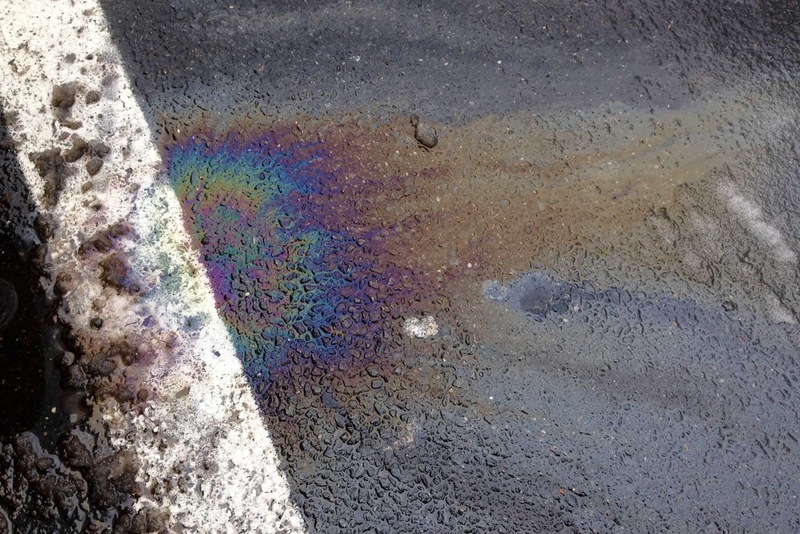 As a child, oil slicks were fascinating sights, magical things, rainbows dropped to earth, spreading gorgeous colors in all directions. Those were the days before iridescent fabrics, "interference" paints and glitter or sequins on everything. It was a less sparkly world. My friends and I would swirl or pull out the colors in the puddle with sticks, marveling at the way it changed as we viewed it from different angles. Now we know that it's a toxic thing, bad for the environment. Toxic, yes, but a bit of the magic remains in all those colors.